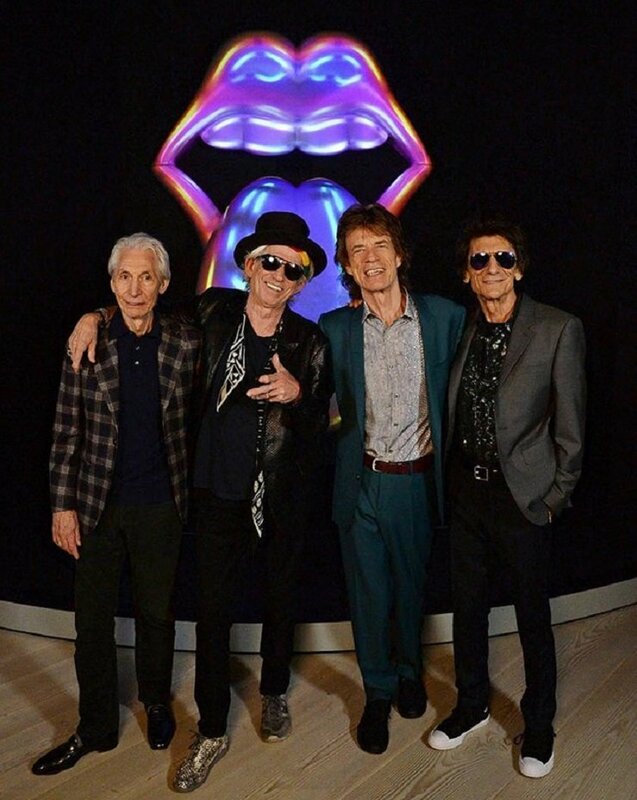 Keith Richards Says the Rolling Stones will Record New Material "Very Shortly"
The Rolling Stones put their own spin on classic blues tunes for their last release, delivering Blue and Lonesome towards the end of 2016. But the long-running rockers have now revealed that a new album of all-original material could be in the works soon. In a new "Ask Keith Richards" video posted to YouTube, Richards himself revealed that the band will be heading into the studio to record a brand new record "very, very shortly." It would mark the group's first LP of original material since 2005's A Bigger Bang. Richards elaborated, saying the band will be "cutting some new stuff and considering where to take it next." "Blue and Lonesome caught us a little bit by surprise in that we figured it was something we had to do, but we didn't expect the response," he added. Richards went on to say that a second volume of Blue and Lonesome isn't in the immediate future, but that the band wouldn't need much convincing to make it happen. "I don't think we're going to sucker into that straight away," he said. "But it wouldn't take a twist of the arm to do some more of that. It's such fun to record, and there's plenty more where that came from." In addition to the Rolling Stones returning to the studio, frontman Mick Jagger has been doing some recording of his own alongside UK rapper Skepta. Details of that collaboration have yet to be revealed. In other Rolling Stones news, a new book set to profile the band's broadcast history titled Rolling Stones on Air in the Sixties: TV and Radio History As It Happened is set to hit shelves in September. They also have a series of upcoming European live dates scheduled for September, which you can see here. Watch the aforementioned "Ask Keith Richards" clip below. Pre-order the 50th anniversary deluxe box set of the band's classic album Their Satanic Majesties Request via MusicVaultz.